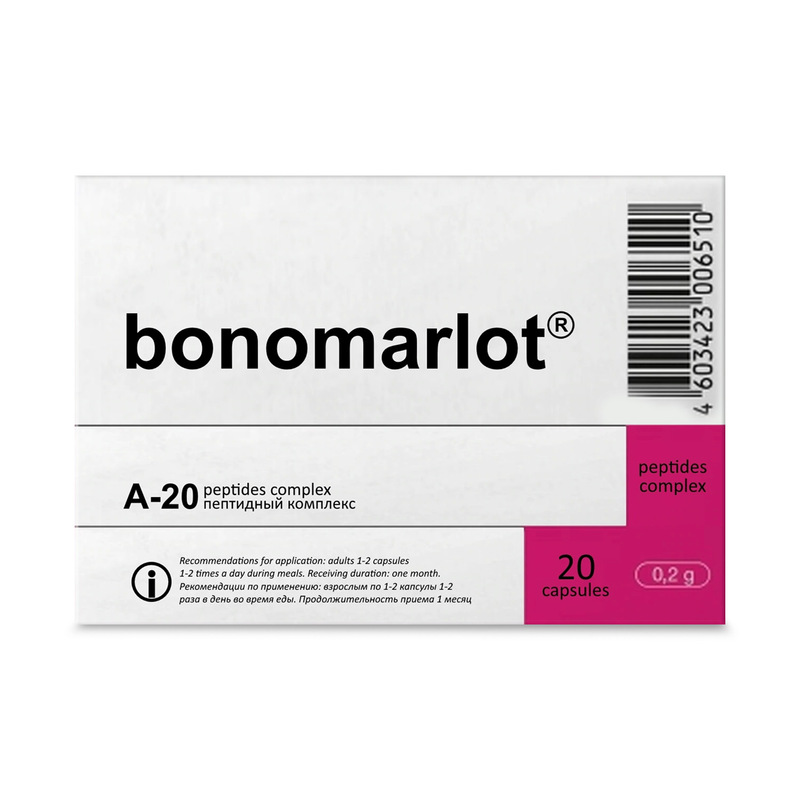 Bonomarlot is a peptide bioregulator specifically harnessed to boost and protect the function of the bone marrow. Bone marrow is the flexible tissue in the interior of bones. In humans, red blood cells are produced by cores of bone marrow in the heads of long bones in a process known as hematopoiesis. On average, bone marrow constitutes 4% of the total body mass of humans. The hematopoietic component of bone marrow produces approximately 500 billion blood cells per day, which use the bone marrow vasculature as a conduit to the body's systemic circulation. Bone marrow is also a key component of the lymphatic system, producing the lymphocytes that support the body's immune system. Bone marrow stem cells have been successfully transformed into functional neural cells and can also potentially be used to treat illnesses such as inflammatory bowel disease. Peptide bioregulators were first discovered in the 1980s by professor Vladimir Khavinson, a doctor working on behalf of the Kremlin to devise palliative care medicines for army veterans. He noticed that in healthy individuals with all their bodily faculties working at optimum performance, the level of peptide bioregulators in each of their organs was exactly 42%. Form of production: capsules weight 0.2g. One pack contains 20 capsules. Ingredients: peptide complex A-20 (bone marrow peptides); microcrystalline cellulose (E460, flowing agent); gelatin (encapsulating agent); lactose (excipient-humectant); calcium stearate (E470, emulsifier); titanium dioxide (E171, colour for capsules). Sale through pharmacies and specialized stores, sections of distribution network.